Hello everybody!! 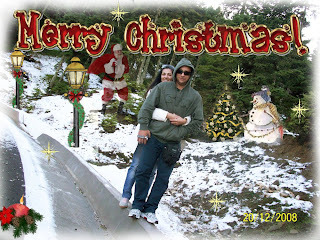 I wish you the best to all of you. As coming the new year all the wishes are achieve. Ms Vanessa I want to do something for studing. Please when you'll have free time, tell us some ideas. I think is time to do something creative to fell better. I need to do something. I'm sorry for my absence. I realise that I have to do something if I want to find myself again. Hi Everybody let's carry on the tour! 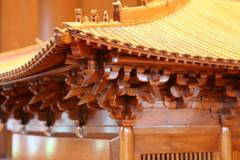 Tang Dynasty timber complexes were mostly modeled on the traditional quadrangle courtyard design and buildings were arranged symmetrically along an axis. bracket system is the most characteristic feature in Chinese monumental architecture. Its ingenious design evenly transfers the load of the beam frame and roof directly or indirectly to the columns. Load from the bracket indirectly to the columns. Tang architecture employed timber as its principal building material. Its structural system was post and beam construction, with the load of the beam frame and roof supported by the columns throught the bracket layers. The walls were merely erected to provide enclosure, seclusion and partition, thus allowing a high degree of flexibility in planning. The locations of doors and windows were not restricted by the walled enclosure. next time will continue our tour in the garden. Classmate RAjeev asked me a question that Somebody told me that Chinese language is still pictographic? Is it true? As I knew, Chinese language has developed since few thousand years, part of the language was refer to the animals shape, Nature sceneries image..etc. Form this to develops the Chinese calligraphy art. I had just finished a 3 years diploma calligraphy course at extra-curricular in local university. To wish it cans help us to have some ideas of the Chinese words.